Gerber Sharkbelly model 30-001409. Made in USA with good old American 420HC steel in a traditional lock back design. That is what the Gerber Sharkbelly model 30-001409 is, and it only weighs 2.3 ounces. A scratch resistance wire clip allows you to carry the Gerber Sharkbelly in a tip down position. The clip can be swapped to either end of the knife to accommodate your left or right pocket. You really need to feel the satisfaction of this lock back when it opens with a pop. 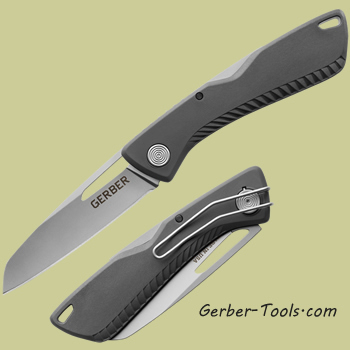 It is really nice to see some Gerber knives that are Made in USA and have good prices.